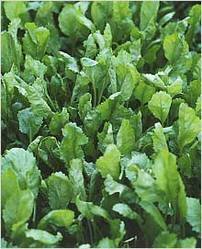 Common Name : Garden Cress, Pepper Grass, Garden Pepper Cress, Pepper Wort. Part Used : Roots, Leaves And Seeds. Habitat : Cultivated throughout india as a culinary vegetable. Uses : Seeds are bitter, thermogenic, depurative, galactagogue, emmenagogue, tonic, , ophthalmic and diuretic. It is useful in leprosy, skin diseases, dysentery, diarrhea, dyspepsia, eye diseases, leucorrhoea, scurvy, asthma, cough, cold and seminal weakness. Roots are bitter and acrid. It is useful in secondary syphilis and tenesmus. Leaves are stimulant, diuretic and antibacterial. It is useful in scurvy and hepatopathy. Seeds are abortifacient, they have been applied as a poultice to pains and hurts and have also been used as an aperient. The seed yields up to 58% of edible oil that can also be used for lighting.